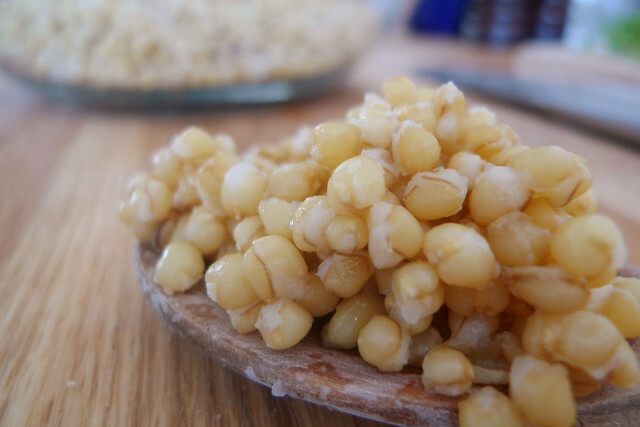 Did you know that White Sonora was the first wheat to come to North America? It was brought over by Jesuit missionaries that were sent to the new world. That's why it is sometimes called Father Kino's wheat. So not only are these wheat berries nutty and chewy and versatile, they are part of our history. We like to call it edible history. Here's an easy way to use White Sonora Berries into a cold salad. 1. Cooking the wheat berries: Soak the berries overnight. When you are ready to cook them, pour off the water. Place the berries in a pot and cover with water and simmer for 60-90 minutes. They will open up into fragrant pearls. When the berries are soft, but still chewy remove them from the heat, drain off any remaining water and set aside to cool. You can do this ahead of time and they will keep in the fridge for a week. 2. Add the chopped walnuts, green onion, cherries, and figs to the cooled berries. In a separate bowl mix the dressing ingredients together until the honey has dissolved. Next, pour the dressing over salad and mix. 3. Crumble in the goat cheese just before serving. 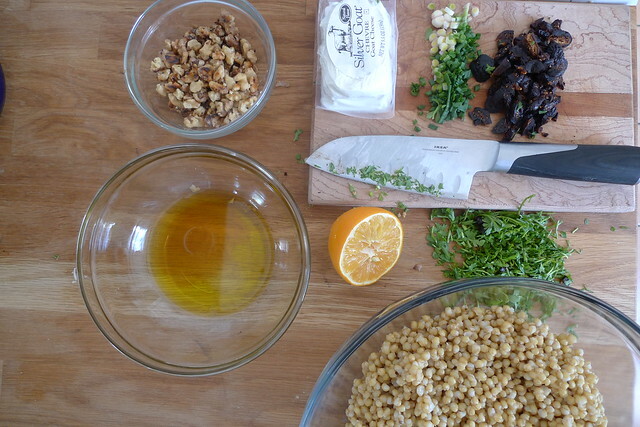 Posted on February 8, 2013 by Emma and filed under Dinner, Recipe and tagged White Sonora Wheat Berries 2013.